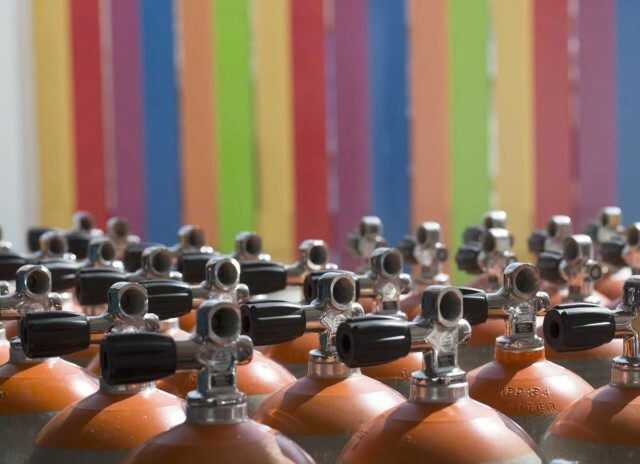 AB-Dive offers 100% sustainably filled dive tanks with the lowest rates on the island! When diving on Bonaire you want the best Air or Nitrox quality, a quick drive-thru tank pickup service, good fills and the best rates of the island. But also aluminum dive tanks in different sizes 50/63/80 or 100cft and the choice of either DIN or International (yoke). 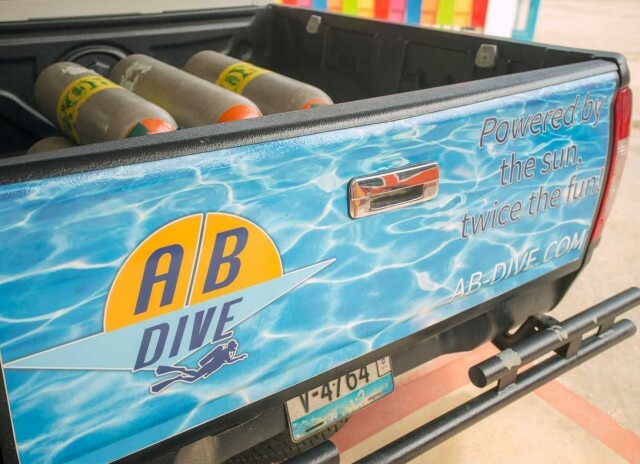 AB-Dive offers it all! On top of that we care about the climate and the environment on Bonaire and therefore we run for 100% on solar power. We have brand-new, modern tanks which we fill to 3200 PSI (220 BAR). You will get even more air compared to the 2800 PSI in tanks of the same size that are available at other places. Because we operate solely on solar power, your dive tanks are filled entirely using renewable energy. We offer tanks filled with enriched air Nitrox. Our quality Brownie Nitrox maker fills your Nitrox tanks with a membrane, ensuring a constant quality of Nitrox at 32% oxygen. 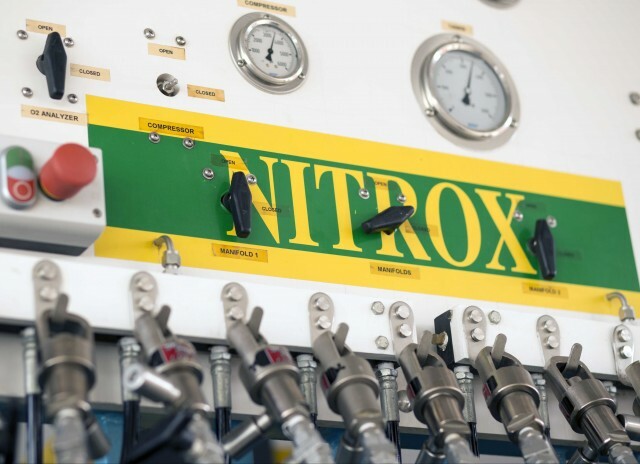 As the tanks are used continuously, the air flows constantly and you will always dive with fresh Nitrox! We gladly deliver tanks at your accommodation, but you are more than welcome at our office for pick-up and a chat as well. We are all dive enthusiasts and would like to hear about your memorable underwater adventures. Share your best dive sites with other guests or write your most cherished memories on our wall. Does not have to be consecutive days.